Mayko Hair has a strong partnership with Goldwell and simply love being inspired by the colour trending in our industry. 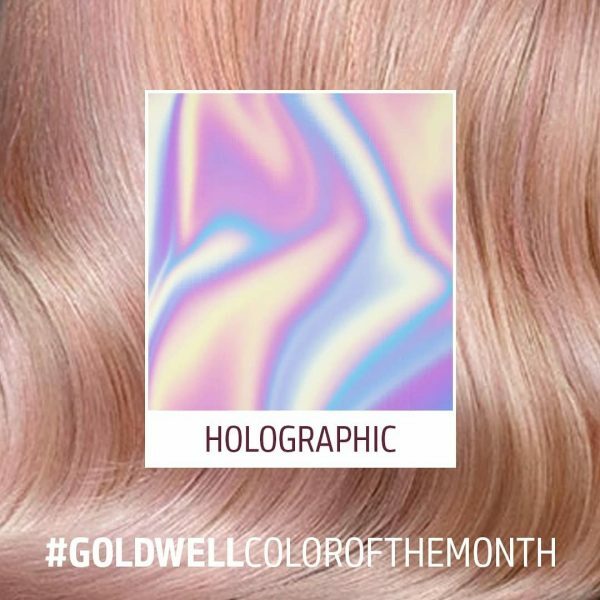 The colour of the month is “HOLOGRAPHIC” and the image shows it all, there will be some very cool colours coming into the salon to create “HOLOGRAPHIC” tone and texture through hair and we will let you know when they land. Metallic shine and 3D dimension has moved into the Hair industry alongside with Incredible technology to add more colour and more Shine into clients hair. Gone are the days of flat, matte colour work. BORING let’s face it, want to get creative? Come and work with one of our “Master Colourists” and stay tuned for Pure Pigments arriving. We are excited to be able to deliver the very newest and best in technology @maykohair.